Your needs for both rock star hair as well as a rock star party can curiously be satisfied all at one spot. 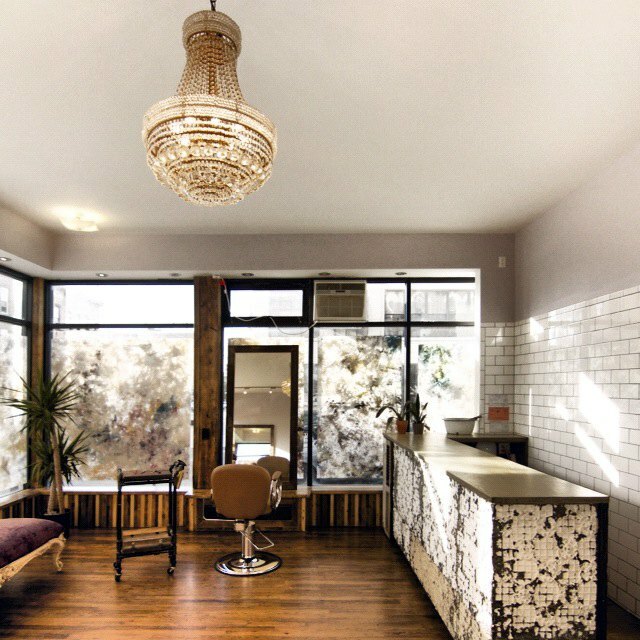 But this is Bushwick after all, so it should come as no surprise that Pickthorn, the neighborhood's (seriously) fancy hair coloring studio located at 61 Wyckoff Ave, is the place to go during Bushwick Open Studios weekend (June 5-7) to get your wild animal roar on. 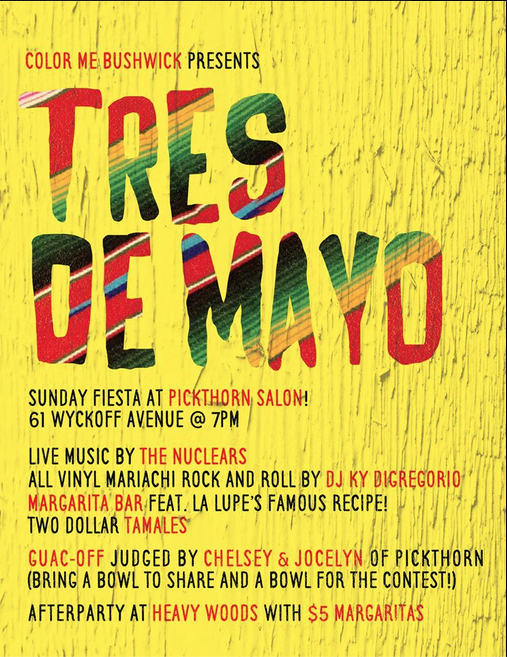 And lucky for us all, Pickthorn has just invited all of Bushwick for some pre-gaming to go down this Sunday on May 3 called Tres de Mayo. Pickthorn is operated by a visionary hair colorist Chelsey Pickthorn who does hair of a bunch of A-list models and actors on the reg, and her tattooed studio and event manager, Jocelyn Simone. The ladies have been unapologetically throwing some of the best events during Bushwick Open Studios '13 and '14 called Color Me Bushwick, inviting their fave bands and artists to celebrate with them. We're glad to report that this year won't be any different. This year's event is going to be packed with three days of live music, fine arts, local food and drink, health and beauty, activities, vendors, sponsors, giveaways, and more. "Our mission with Color Me Bushwick is to use Pickthorn as an outlet to support our favorite local businesses and create a fun, creative, community event that anyone in our neighborhood can enjoy, and use to explore the modern music, arts, and tastes of Brooklyn," emailed us Jocelyn. The partner list for this year's Color Me Bushwick so far includes: Davines, PBR, Montana's Trail House, Hi Hello, Amancay's Diner, Silky's Brooklyn, Guayaki, Nooklyn, etc. Look forward to bands Sunflower Bean, Honduras, and The Nuclears, just to name a few. And apparently they have so many more big exciting things coming. Bring them on, ladies! This Sunday's party will have a guacamole contest; Margarita bar by La Lupe; $2 authentic tamales; live music by The Nuclears; DJ KY will play some classic mariachi form 1940's and the after party will be at The Backwoods, which is the Heavy Woods back area, in case you were wondering. They'll be offering $5 Margaritas. Tres de Mayo, Sunday, May 3, 7-10PM at Pickthorn, 61-63 Wyckoff Ave, Bushwick. RSVP here! Color Me Bushwick, June 5-7, at Pickthorn, 61-63 Wyckoff Ave, Bushwick. Stay tuned for more details.